NIACRO has just secured €763,280 in European Union Peace IV funding to tackle hate crime in Northern Ireland. Hate crime is a commonly-used term but it is worth keeping in mind exactly what it is supposed to mean. So what is it, how prevalent is it, how will the programme work and what more can all of us to do tackle it? Hate crime is when someone commits a crime against another because of their disability, gender identity, race, sexual orientation, religion, or any other perceived difference. The key differentiator when compared with other offences is that the crime is committed because of what the victim is or is perceived to be. Police forces also record “hate incidents” where no crime is committed. Yet, despite the high profile of this type of offence, there has been a surprising lack of research across the globe into why people commit such crimes and how best to prevent them re-offending and stop others from offending in the first place. What does appear to be clear, however, is that the term itself is misleading. This has interesting implications for tackling the problem if only because it suggests that as far as offenders are concerned hatred per se is not as big an issue as we seem to think it is. Motivation for committing crimes will therefore rarely stem from extreme political or cultural views. This means, in turn, that key to rehabilitation will be to confront offenders with the harm they have done, encourage them to apologise to victims and to understand that hate crime of any form is completely unacceptable. Analysis of offenders suggest that they tend to be white, male and young, with a high proportion unemployed but not exclusively so – in Northern Ireland, for example, between 30 and 34% are female, a remarkably high figure when compared with elsewhere. Crimes committed range from vandalism through to physical violence. The PSNI regularly updates the relevant figures. They show that sectarian incidents are dropping, but are still the most prevalent, followed by race crimes. 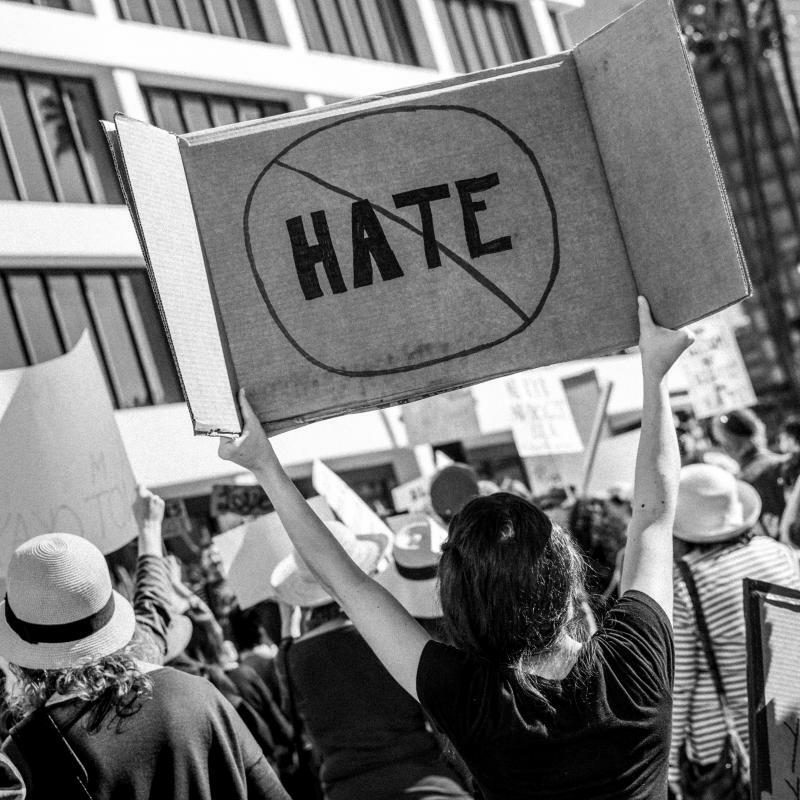 A note of caution needs to be applied, however, as hate crimes tend to go under-reported so it is safe to assume that they are more widespread than official figures suggest. Get Real builds on an earlier European-funded project Challenge Hate Crime which set out to design a pilot programme for tackling the problem. Restorative justice is at the heart of it – it will enable victims to explain the harm that they have suffered and explore ways that offenders can make up for the damage they have done. It will also involve community education programmes designed to challenge prejudice and intolerance amongst those at risk of offending and offer diversity training for criminal justice agencies to equip public servants with the relevant knowledge and skills to tackle the problem. Yet there is more we could all do. Speaking at the launch of the programme Professor Paul Iganski, an acknowledged expert in the field, argued that to date a vital resource in tackling hate crime has been ignored. Most incidents take place in public places, in shopping centres, on the street, in parks in and around schools. They are therefore very often witnessed by others. Iganski argues that bystanders who are appalled by hate crime should be prepared to act as first responders. In Germany they call such interventions acts of “Civil Courage”. Just as offenders are often misunderstood, so too are victims. There is considerable evidence that the mental distress of being a victim of a hate crime is greater than that experienced by similar crimes committed for other motives. It hurts more. There are several reasons for this. A hate crime is not just an attack on a person it is an attack on their identity, striking at the core of their being. And the wound is deeper because of the message behind it, the perceived motive of the attack. It suggests that they are despised, unwanted and unwelcome. Hate crimes are also acts of exclusion, a signal from the offender that the victim is not welcome in the community. This can and often does lead people to isolation, not even wanting to leave their homes for fear of a repeat. Of course Iganski is not suggesting that bystanders should brawl with hate criminals on the street. He believes the key is to offer support to the victim and to collect evidence that might be useful to the police. He is also careful to acknowledge the need for training to be provided so that bystanders can both be effective witnesses and give comfort and support to victims. Even these steps could provoke confrontation with the perpetrator and put anyone trying to help in the firing line – and not everyone will be willing to take that risk. But his point is well made and worthy of debate. The evidence suggests that where victims of hate crime are ignored and not supported by bystanders, their hurt and sense of exclusion is compounded and they can even feel witnesses to be complicit in the attack. Surely we all have a duty as citizens to do what we can to challenge intolerance when we come across it, and at the very least support victims who fall foul of it? It does require courage and there may be circumstances where it is too dangerous to act. But we should, at least, acknowledge that challenging hate crime is not just the task of the authorities, but a shared responsibility for us all.